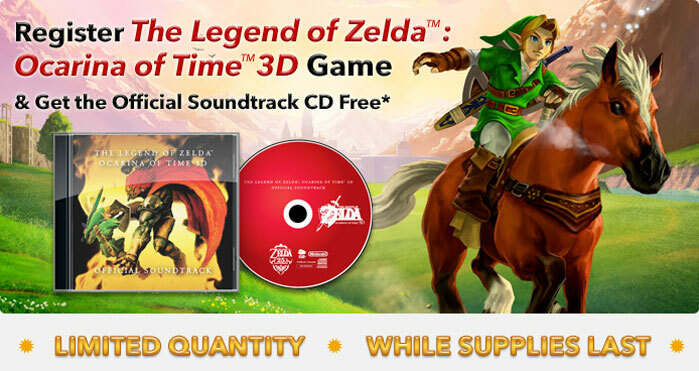 We all know about those nifty CDs that Nintendo announced at E3 for Ocarina of Time 3D‘s launch. The game launched in Europe today…so you can register for them today in Europe, right? Apparently not. Supposedly there are issues when you input your code. It asks you to re-enter it or gives some other error. Just stay patient, Europeans. Hopefully Ninty will get the problem sorted out soon. In the meantime, enjoy Ocarina of Time 3D, and check out our walkthrough if you need any help.